To give them a bit of sparkle I added some glitter glue! Lovely! I'm trying to make lots of Christmas decorations this year so I must give these a go. 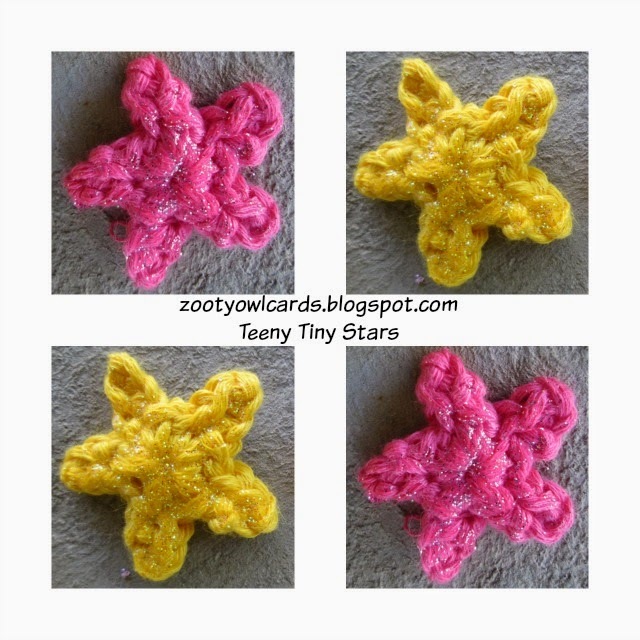 You could also try crocheting the stars with King Cole Cosmos yarn worked along with the cotton - makes them extra sparkly.